Pradeep Agarwal Academy has carved out a niche for itself in the field of coaching for IIT and other entrance exams. In a short span of time, since its inception in the year 2012, its students have managed top ranks in competitive exams like JEE Advanced (IIT JEE) and AIIMS. The reason for success is simple; sincerity and adherence to fundamentals. The students are encouraged to use and analyse concepts in the most simplistic manner. It enables them to solve difficult problems in the minimum possible time. All this is possible due to mentoring at the academy done by a team of highly talented, skilled and experienced IITians who are always available to guide the students and take responsibility for their success. The main focus at Pradeep Agarwal Academy is on quality education rather that quantity education. A unique feature at Pradeep Agarwal Academy is its focus on the approach to solve problems fast and that too without compromising on accuracy. To be among top rankers in competitive exams, it is not sufficient that one is able to solve problems. What is important is to solve problems with a good approach and in most efficient manner. We encourage students to bring problems whose solution in the books is given using long method and approach. We guide them on how those problems can be solved in much less time using alternative but simple approach. An outstanding feature of the academy is to make a bright student of class 8th, 9th and 10th (aspiring for IIT) to complete the entire syllabus of classes 11th and 12th. This helps them to qualify the coveted KVPY and also helps them to obtain a much better rank in IIT. Few students of class 10th have even completed most of the portions of IIT syllabus and while in class 10th itself, they have already attained the confidence and skill to solve IIT problems of highest complexity level. Today, the students of the topmost batches of other institutes are joining Pradeep Agarwal academy to develop an expertise to solve problems of high complexity with ease and in less time. The special focus at the academy is on making a student solve problems quickly and accurately, so as to be able to solve the entire IIT paper within the allotted time. This is a key factor that differentiates a topper from others. The academy takes pleasure in inviting students and parents to visit the academy and experience the difference themselves. Pradeep Agarwal was a recipient of various scholastic achievements while he was a student. He received the NTSE Scholarship at a time when a small number of students used to get it. He topped in the National Mathematics Olympiad. He was twice the recipient of the Born Mathematician award (given by the Ramanujan Society of Born Mathematicians) in 10th as well as the 12th class. Pradeep Agarwal had always been deeply interested in solving mathematical puzzles. In early eighties, when Rubiks cube puzzle was invented, its fever had gripped the entire world. Solving this puzzle was considered to be a challenge which at that time only a very few in the world were able to solve. Pradeep Agarwal, then only 16 years of age developed a unique method which helped him to solve the great Rubiks cube puzzle in under 30 seconds. This had been his rare lifetime achievement. During his college days at IIT Kanpur, he used to play Bridge and has been an ardent lover of the game. At the age of 21 years, he had topped in the Bombay open Bridge tournament. Pradeep Agarwal had done B.Tech from IIT Kanpur in year 1987 where he was among the top rankers. Before pursuing his passion for teaching, he had worked with many multinational conglomerates such as Larsen & Toubro, BPL, Hero Honda and General Motors where also, he gained expert level reputation among fellow engineers and management. 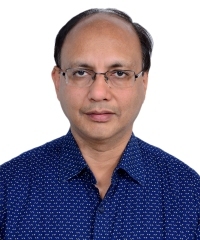 Since the year 2000, his full time work has been to guide young students in a way that they understand the concepts with ease and apply them in real life scenarios and in competitive exams. As he had always been deeply interested in academics, he left the industry to devote his entire time to coach students and writing books for IIT-JEE and other competitive exams. He feels that there is a great need to develop books at all levels which are easy to understand and which help the student build up the concepts in a scientific way. Such books shall help the student analyze and grasp the concepts in lesser time than he normally spends otherwise. Pradeep Agarwal is author of the IIT physics book “Physics Encyclopedia for JEE Advanced”. This book is in two volumes and was launched in the year 2014. Today, it is a popular book and is the best book for the preparation of IIT entrance exam. Mr. Pradeep Agarwal through his years of research has developed an expertise to make students study with speed and efficiency. Many students of class 8th, 9th and 10th at Pradeep Agarwal Academy have completed the entire syllabus of classes 11th and 12th. Some students have also completed most of the portions of IIT syllabus and have developed skill to solve IIT problems of highest complexity while in class 10th itself. They now have a very strong foundation to excel and undoubtedly be among toppers in various competitive exams that they would face in future. The continued success of our students is a testimony to that.